This Bella Rose Plantation wedding in Lynchburg, VA wrapped up my 2017 weddings. I was always curious about this venue every time I drove down Graves Mill Road, and even though the leaves had already fallen, this venue was stunning. It’s a photographer’s dream! I have to admit I was a little worried about the busy road that is so close to this venue, but it doesn’t even matter. There are plenty of beautiful places for photos that the road is not in the way. The stately house where the bridal party gets ready is full of mirrors and natural light….again, photographer’s dream. Brooke and her maids were stunning… their makeup was perfection and their dresses were the most beautiful blush pink. I especially loved their matching, embroidered “getting ready” robes. First of all, Entwined Events did an incredible job on the flowers, cake, and food. The “Spring” colors of the bouquets gave much needed color on a very chilly November day. The wedding cake was a watercolor masterpiece…check that out in the photos below. The food….yum! I’m still drooling over the Beef Brisket and Green Beans because they were both topped with bacon. And, well, everything is better with bacon, right? 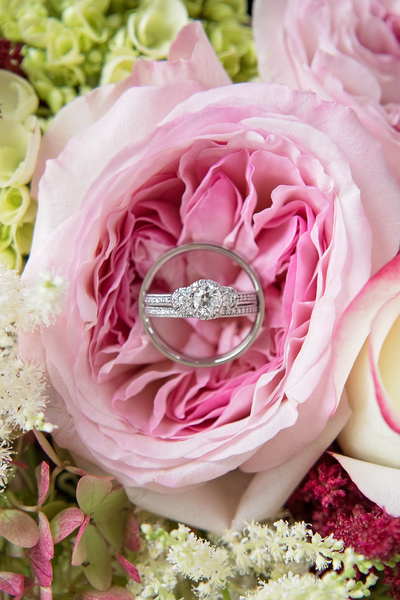 Brooke and Dimitri did a “First Look – No Peek” under a massive Magnolia tree where they exchanged letters, held hands, and Dimitri played his guitar and sang a song he wrote for Brooke. It was the sweetest thing probably because you could see they wanted to look, but they would quickly avert their eyes. 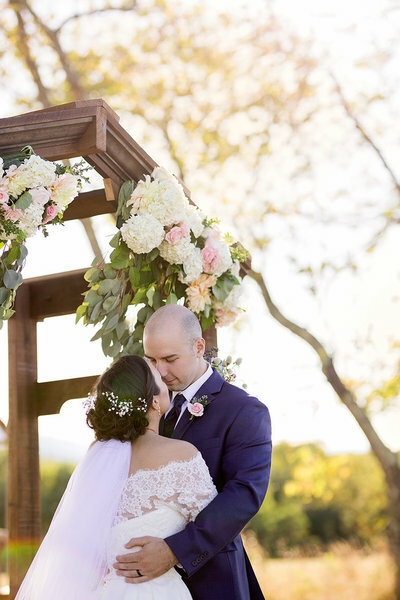 Their ceremony was short and sweet on the main ceremony site where a gorgeous and intricate stained glass gazebo stands. After their ceremony, we took the family pictures and bride/groom portraits and headed into the reception. Brooke and Dimitri shared a beautiful dance and then that delicious dinner was served. I have fallen in love with Bella Rose! I am so glad Kidd Photography asked if I could second shoot this with her. Brooke’s hubby-to-be wrote a sweet note on the bottom of her shoe. So sweet! Then Dimitri played a song he wrote for Brooke. Sometimes you just need time together before the ceremony. This is where the bridal party gets ready at Bella Rose. Gorgeous, huh? 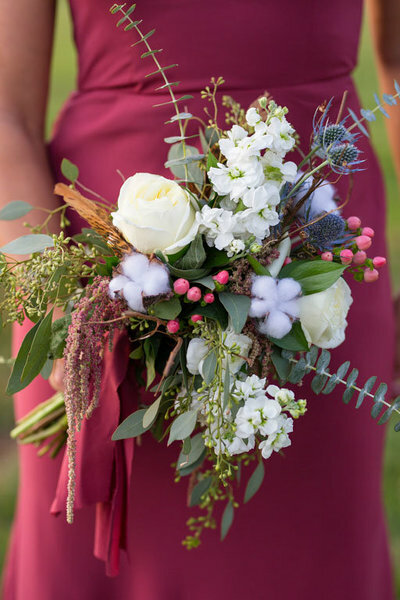 This may be one of my favorite pictures…Those bouquets had a “spring” feel for a cold, fall day. This is the reception area at Bella Rose Plantation. There are multiple levels for entertaining. Check out this unique cake design? Isn’t it gorgeous? Y’all, this food was superb.